Courtesy of Partners Realty, David Gaston. Located in a desirable neighborhood with community pool, this beautiful, original owner residence is designed for comfortable living interior features an open floor plan with expansive windows, multiple living areas. offers an abundance of light and space with large yard features a covered patio with mature trees for plenty of shade. Close proximity to Loops 1604, 410, and Hwy 151 provide quick commutes to all points SA. School is in walking distance & close to retails shopping & numerous restaurants. Please, send me more information on this property: MLS# 1377091 – $215,000 – 10713 Gemsbuck Lodge, San Antonio, TX 78245. 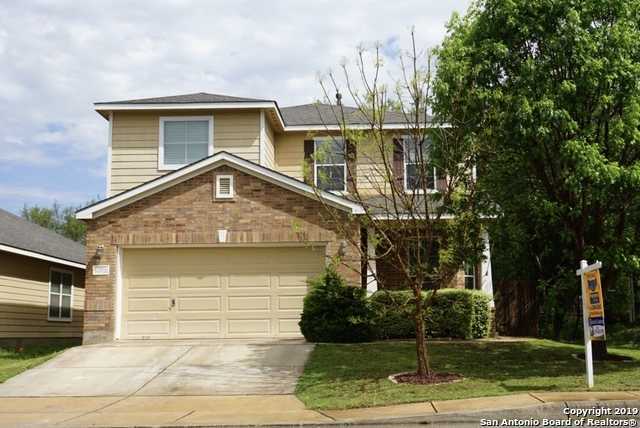 I would like to schedule a private showing for this property: MLS# 1377091 – $215,000 – 10713 Gemsbuck Lodge, San Antonio, TX 78245.